LAST WEEK, House Minority Leader John Boehner of Ohio joined the chorus of Republicans amenable to rewriting the Citizenship Clause of the 14th Amendment, which guarantees American citizenship to "all persons born or naturalized in the United States and subject to the jurisdiction thereof." Should the Constitution be altered, Boehner was asked on NBC's "Meet the Press," to deny such automatic citizenship to the children of illegal immigrants? "I think it's worth considering," he replied. Others on this bandwagon include Senator Lindsey Graham of South Carolina, who says "birthright citizenship . . . is a mistake" that should be fixed by changing the 14th Amendment, as well as Senators John McCain and Jon Kyl of Arizona and Minority Leader Mitch McConnell of Kentucky, all of whom have called for hearings on the topic. "There is a problem," said Boehner. "To provide an incentive for illegal immigrants to come here so that their children can be US citizens does, in fact, draw more people to our country." Look at the trouble caused by birthright citizenship, he argued: "In certain parts of our country, clearly, our schools, our hospitals, are being overrun by illegal immigrants, a lot of whom came here just so their children could become US citizens." The specter of America being "overrun" by undesirable immigrants is a classic bugbear, nearly as old as America itself. And Boehner & Co. are hardly the first members of Congress to fret about the supposed perils from the Fourteenth Amendment's guarantee of citizenship to any child born on US soil. During the congressional debates on the amendment in 1866, Senator Edgar Cowan of Pennsylvania feared that automatic citizenship at birth would undermine a state's ability to defend itself "if it were overrun" -- that word again -- by immigrants of "another and a different race." For example, Cowan demanded, "is it proposed that the people of California are to remain quiescent while they are overrun by a flood of immigration of the Mongol race? Are they to be immigrated out of house and home by Chinese? . . . If another people of a different race, of different religion, of different manners, of different traditions, different tastes and sympathies are to come there and have the free right to locate there and settle among them, and if they have an opportunity of pouring in such an immigration as in a short time will double or treble the population of California, I ask, are the people of California powerless to protect themselves?" Change "California" to "Arizona" and "Chinese" to "Hispanic," and you might think you were listening to 21st-century immigration alarmists fulminating about "anchor babies" or the "invasion" of illegal immigrants across the southern border. For good measure, Cowan also denounced the "Gypsies" immigrating into the Pennsylvania of his day -- a "pestiferous" people, he called them, "who pay no taxes; who never perform military service; who . . . infest society." Only the players change in the immigration wars; the rhetoric remains the same. Of course the 14th Amendment isn't going to be amended, as Boehner, Graham, and the others know perfectly well, and it is hard to interpret their embrace of the idea as anything but political posturing. (That too hasn't changed: Following Cowan's philippic during the 1866 debate, Senator John Conness of California -- an Irish immigrant -- observed tartly that it must be "it may be very good capital in an electioneering campaign to declaim against the Chinese.") Yet even as political bluster, threatening an end to birthright citizenship seems pointless. 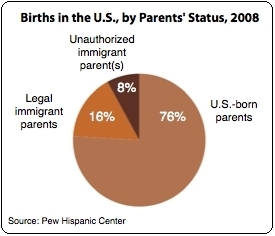 After all, if the Citizenship Clause no longer protected babies born to illegal immigrants -- an estimated 8 percent of all US births -- the principal result would be to enlarge the illegal population. Is that what the immigration furies want to see -- even more newcomers to the United States who have no legal right to be here? 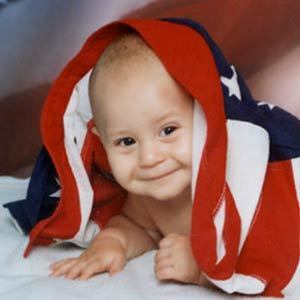 "Revoking birthright citizenship," writes Michael Gerson, a former speechwriter for George W. Bush, "would turn hundreds of thousands of infants into 'criminals' -- arriving, not across a border, but crying in a hospital." It isn't going to happen. But why would anyone who purports to be concerned about citizenship and the rule of law even suggest something so unjust? The 14th Amendment says nothing about parents. It does not make citizenship contingent on ancestry, bloodlines, or political favor. The immigration debates may churn, but about this much the Constitution is unequivocal: Anyone born in America is an American. Our nation has been enriched -- not "overrun" -- because of birthright citizenship. The 19th-century nativists who feared otherwise were wrong. Their intellectual heirs today are, too.